The advice often given to new indie authors is for them to start on Kindle, via the KDP Select service, before branching out wide. The logic there is multi-faceted: KDP is the largest ebook store, they offer good tools to build a readership, and it's usually easier for a new author to focus on one platform at first - so as to learn the ropes. When the time comes to branch out, though, this can be a terrifying proposition as, just when you think you've mastered one platform, you need to start again from scratch elsewhere. In actuality, going wide usually means learning multiple storefronts at once. Many will turn to aggregators for this task - Smashwords and Draft2Digital being the two most prominent. The upside there is learning one new platform, which will then seed other platforms for you. The downside, you're paying a percentage of your sales for them to do so. In some cases, this might also result in a bit less control over your marketing efforts than going direct allows. And, well, sometimes you get control freaks like me who just want to have their hands in all the cookie jars. Pluses: Loading a book to the KDP platform is a pretty simple process, guided by FAQs and tooltips as you go. There are lots of options to fill out, but options are typically a good thing as they offer you more opportunities to customize your experience and hopefully find your audience. KDP allows uploads in multiple file formats. There's even a tool to suggest optimal pricing for you once you're ready. Minuses: The category options given to you don't necessarily match up with what's on the Kindle store, which can be frustrating. Once you hit submit, there's a typical 12 hour delay before you can make changes again. Make a typo on anything and you'll be sitting there helpless to do anything until your book unlocks again. During peak hours, KDP can slow down considerably. Pluses: Making changes to a book is a relatively painless process once you know the system. If you have any issues, KDP customer service is typically both fast and helpful. You can use Amazon's Author Central website to make updates to your book description without worrying about the KDP tool lockout period. Minuses: Author Central can occasionally be a little buggy with regards to formatting, sometimes necessitating multiple updates to get a book page to look right. Pluses: Hands down, Amazon offers authors the most tools for marketing. There's KDP Select marketing opportunities, Author Central's ability to further customize your book page, Shelfari for adding additional details to your book, and Amazon Associates to help you both market and earn some additional income. Sales reports can be customized and run at any time. Author Central accounts can be established at Amazon's various international storefronts too. Minuses: Amazon can be a little stingy when it comes to data sharing. Once you use a platform like Facebook Advertising, Amazon's feedback can feel rather sparse. Creating a permafree book requires a price-match to another platform. Many of Amazon's on-site marketing options require the 3 month exclusivity of Select. Amazon is the 600lbs gorilla in the room. Though some have a love/hate relationship with them, they are constantly evolving and adding new services. Their desire for exclusivity, however, can be a turnoff for some. Pluses: Nook Press offers multiple dimensions for setting up a book, including the ability to edit your manuscript on the fly. There is also space for editorial reviews to help further market your book to your fans. Minuses: Nook's cover requirements can be a little frustrating. They require certain dimensions, but a low overall file weight - which can lead to having to load a highly compressed cover. HTML highlighting isn't allowed in their descriptions, taking away that ability to customize one's page. Their previewer can be both buggy and slow. Nook Press offers additional services for a charge that are outsourced through Author Solutions, a paid-to-publish company of dubious reputation. Pluses: Making changes to a book is typically painless. One simply needs to edit or update a new manuscript and hit the publish button. Minuses: Nook Press can be slow during peak hours. There is no feedback provided as to when an update will hit their site. Barnes and Noble's customer service does not have a particularly good reputation when it comes to helping their clients. Pluses: Nook Press offers the ability to modify your categories and search keywords. 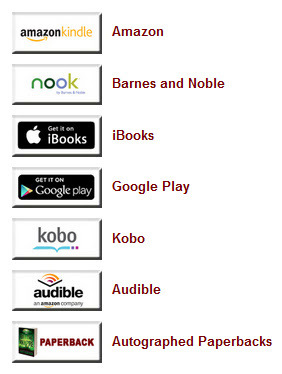 Up to five categories are allowed for each book. They also partner with the Rakuten network for an affiliate program. Editorial reviews are allowed to help customize your book page. Minuses: Sometimes keywords will disappear from their engine. The keywords allowed are also of potentially dubious value given the small character count and amount of books on their site. The Rakouten network is not the easiest affiliate program to use. B&N's website itself often puts far greater weight on big publishers than they do independent books. Will not price match permafree, can only do this through an aggregator. The future of Nook itself is questionable. B&N's online platform is quite mature, but often feels like an afterthought compared to Amazon's. Their continued financial woes make it questionable how sustainable they are in the long-term. They still have a large and loyal following, making them worthwhile, but they are rapidly losing their place as the Pepsi to Amazon's Coke. Pluses: Kobo Writing Life offers a platform that allows one to enter a book's details quickly in a step by step manner. There are additional author services that one can purchase through them, such as cover art and editing. However, these are a relatively new addition. Unfortunately I don't have much data on these so it might be best to approach them with a degree of skepticism. Minuses: No ability to enter search keywords. While their engine is pretty good about accepting files, error messaging can be somewhat esoteric. The wait time between when one hits the publish button and a book actually appears on their site can be highly variable. Their cutesy loading messages get old quickly. Pluses: Making changes to a book is typically painless. One simply needs to edit or update a new manuscript and hit the publish button. Though their email support leaves a bit to be desired, members of their executive staff are online at various author boards and are often enthusiastic and helpful. Minuses: The online help doesn't seem to be updated all that often to match changes to their platform. Pluses: Kobo often runs sales and will reach out to indies to participate in them, leading to potential opportunity. Permafree is allowed. Minuses: The lack of search keywords can be maddening. Lots of trial and error is required and even then the results can be questionable. Their ease of loading and updating a book is negated by the frustrating experience of trying to build visibility in their store. Kobo is full of potential, but I wonder if that potential shall ever be realized. It it probably the most frustrating platform when it comes to attempting to gain traction. Though they have a dedicated and passionate staff, indie success stories from them seem to be few and far between. Pluses: A relatively thorough interface (through iTunes Producer) to upload books, their details, and pricing. Minuses: You either need to own a Mac, know someone who owns a Mac, or rent virtual time on a Mac to participate. In the year 2015, when everyone else offers a web interface, this is a fairly ridiculous requirement. ITunes Producer's error messages are often useless with regards to figuring out formatting issues. Sometimes with a new release Apple will completely revamp iTunes Producer, thus requiring one to figure out a whole new interface. Uploading can sometimes be slow. Pluses: iTunes Connect (website) can be used for basic maintenance of descriptions, pricing, sales, distribution. Minuses: iTunes Producer is required to update manuscripts and cover art. iTunes Connect can be buggy at times, depending on browser. Pluses: Apple allows permafree and also offers an affiliate program. They also reach out to authors for marketing pushes and sales. Apple is a solid company and iBooks is considered a good potential growth vehicle for indies. Books created through iBooks Author can be enhanced with additional media capabilities, potentially making them more attractive to customers. Minuses: Another platform with a lack of search keywords. Outside of their marketing pushes, it can be difficult to figure out search optimization and visibility on their platform. The web interface for their affiliate program leaves a bit to be desired. Can be difficult to find their affiliate program if not bookmarked. If not chosen for one of their pushes, it can be difficult to gain traction in their store. Would be a B+ if not for their ridiculous requirement to utilize Apple equipment. Nevertheless, I would consider them a serious contender in the ebook space. If you can gain momentum in the iBooks store, it can offer significant growth opportunities. Pluses: Lots of options offered, with tool tips to help. Google is often quite fast to add a book to their catalog. Minuses: Lack of a discrete keyword section (seriously Google?). Keywords can be entered into the description, but this isn't obvious. Google automatically discounts EVERYTHING. Their pricing is maddening because this can lead to unintended price-matches from Amazon and others. Requires a lot of trial and effort to get pricing down correctly. Uploading cover art and ebook files isn't obvious. Probably the most frustrating of the major platforms to master. Pluses: Quick updates to the Google Play store once new info is entered. Pluses: A growing market. Search can be fairly robust once it's figured out. Allows permafree. Minuses: Aside from search and sales options, not a lot in the way of marketing. 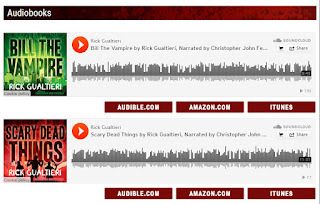 Tends to be a dead platform for pushes from other marketing platforms such as Bookbub. Prices can be changed at Google's whim. Reviews appear to be aggregated, but unclear how this works. Google Play offers equal parts potential and frustration. Some days they appear to be a viable competitor and on others they seem to exist to do little more than be a fly in Amazon's ointment. It's a good market, but carries with it potential for lots of headaches as well. 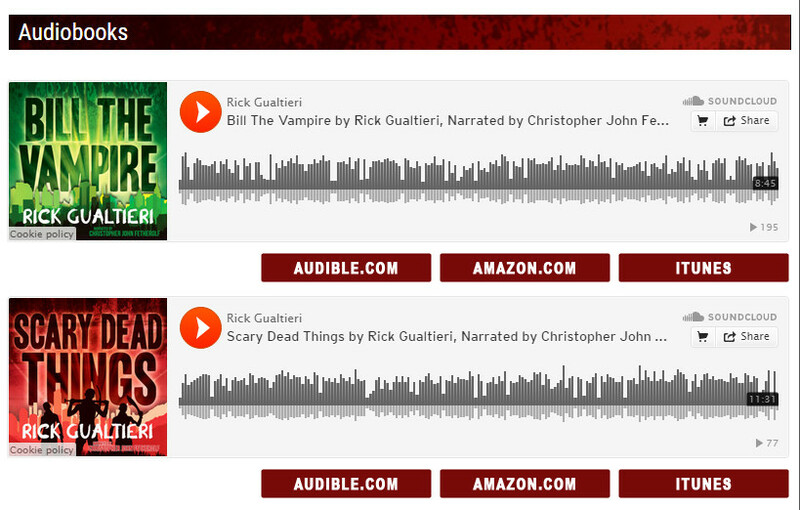 Next post: I'll take a look at some of the other platforms (Print, aggregators, and audio).